Hello and welcome! I work with food history as a way to access stories of women, immigrants, and people of color, and to address issues of racism, sexism, and xenophobia. I perform across the country both as a solo artist and as part of the Masters of Social Gastronomy. I have taught classes on everything from open fire cooking to a walking tour of the “Little Tokyo” neighborhood of Manhattan. Email me to book me for an event or a speaking gig, or check out my upcoming events here. I also write a weekly newsletter about all things delicious and historical; you can sign up for it here. To learn more about me, explore the navigation up top, or read my full bio below. Sarah Lohman is originally from Hinckley, Ohio (near Cleveland), where she began working in a museum at the age of 16, cooking historical food over a wood-burning stove. She graduated with a BFA from the Cleveland Institute of Art in 2005. For her undergraduate thesis, she opened a temporary restaurant/installation that reinterpreted food of the Colonial era for a modern audience. Lohman moved to New York City in 2006 and worked Video Producer for New York magazine’s food blog, Grub Street. She chronicled her personal explorations in culinary history on her blog, Four Pounds Flour, from 2008-2018. Lohman’s first book, Eight Flavors: The Untold Story of American Cuisine, was released by Simon & Schuster in December 2016. Over her career, Lohman’s work has been featured in The New York Times, The Wall Street Journal, The Washington Post, as well as onAll Things Considered, CNN, Gimlet Media, and NHK Japan. She also appeared in two seasons of The Cooking Channel’s Food: Fact or Fiction. 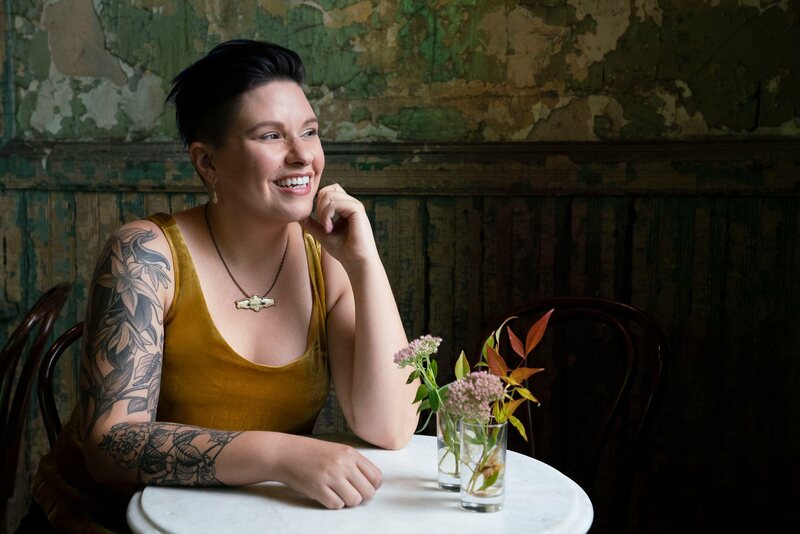 Formerly the Curator of Food Programming at the Lower East Side Tenement Museum, she currently works with institutions around the country to create public programs focused on food. She has presented at The New York Public Library, the Museum of Science (Boston) and the Smithsonian Museum of American History to name a few.